Vending machines are everywhere; you can see them in malls, airports, train station, and even commercial offices which provides ease and convenience of every individual. But now, it even shifts to a new innovation using advanced projected capacitive touchscreen (PCAP) technology. 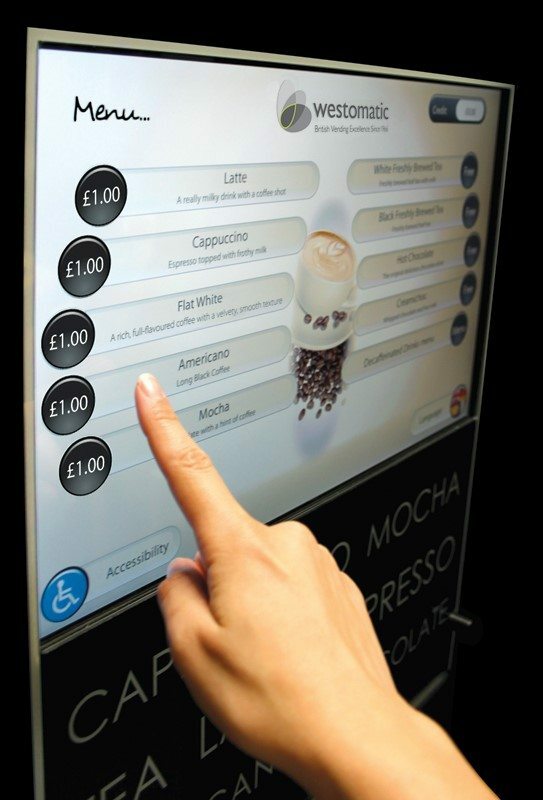 If you are planning to build an intelligent vending system, know the important features of touchscreen technology for your vending machine. Today’s intelligent vending systems are not just typical machines you grew up with. Vending technology is also evolving quickly such as adapting 22” PCAP touchscreen displays for a smart shopping experience. PCAPs are powered by Intel Bay Trail M/D with a 2.0 GHz Quadcore processor which has the ability to interact with the customers by installing a specific software. Since it is also powered by touch technology, it makes a consumer easier to use because of its high-definition displays as well. So, do you want to know its features and specifications? Well, let’s explore various vending benefits utilising PCAP technology. Technology will always be the heart of unattended retail. It simply provides innovative ways to guide product selection in your vending machines, improving customer experience and optimising route to reduce environmental impact. The 22” PCAP displays come with 1024 x 768 resolutions and LED backlit display to give a high performing, low heat product with a wide operating temperature range. Thus, it also reduces energy consumption to help the environment and power bill. With its touchscreen capabilities, consumers can get an accurate product in a fast-paced service. Always keep in mind that touchscreens with projected capacitance are highly responsive with familiar interfaces to provide quick and easy access to products as well as nutritional information. Since S22 capacitive touchscreen devices are Intel-based, it can collect, store, analyse, and transmit data to the main server for replenishments and replacements of products. Therefore, it helps the vending machine business owners to reduce empty selections, increase the availability of popular items and replace slow-sellers. Of course, you want to be competent in the food service equipment industry. But, you may be able to do it if you still follow traditional manufacturing processes of building vending machines. By seeing the abovementioned benefits for your clients, it can help boost your business sales. So, you need to apply it first inside your manufacturing premises. Installing capacitive touchscreen panels in your design operations can help you transmit valuable information to manufacturing operations since PCAPs are powered by an Intel processor. Projected capacitive touchscreens have a built-in Watchdog timer. It has the capability to log-in, monitor, and control manufacturing operations once the design is transmitted from the computing system. With this, you can ensure that production is efficient. Also, since manufacturing operations have extreme working conditions, you can always ensure that there will be no system failure due to heat. Needless to say, PCAP devices have high NEMA sealing and graded IP68, which means it is resistant from heat, liquid spill overs, and other harmful particles. READ MORE: Can A Rugged Panel PC Be Indispensable in the Manufacturing Industry? Running a vending machine business is quite in demand these days. By installing projected capacitive touchscreens, your vending equipment system will give you the edge to be used by customers instead of other displays. So, why not partner with a PCAP supplier today and start building intelligent smart vendos.